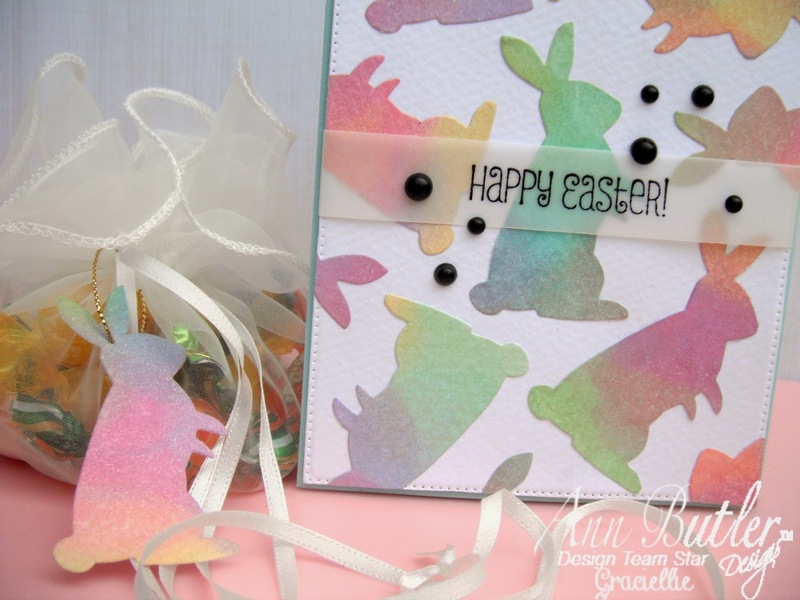 Easter is around the corner and so I decided to make a sweet and colorful Easter card for this month’s tutorial at Ann Butler Designs. For the step by step tutorial click here. 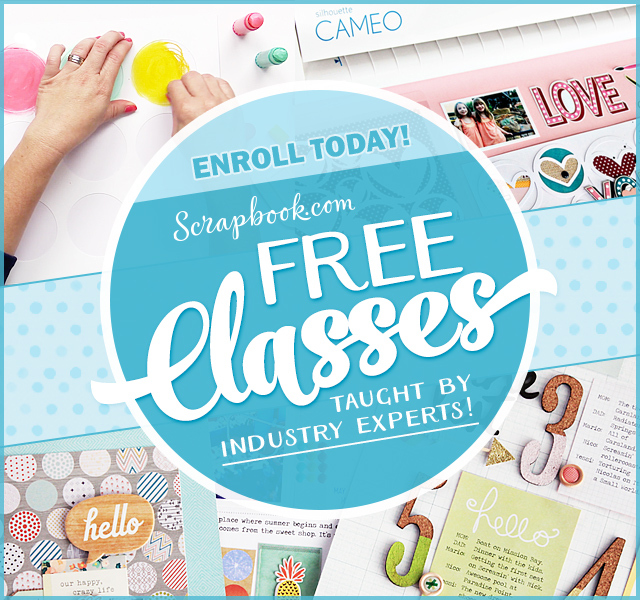 Don’t miss the chance to check out this super fun and easy watercolor technique! That's super cute! 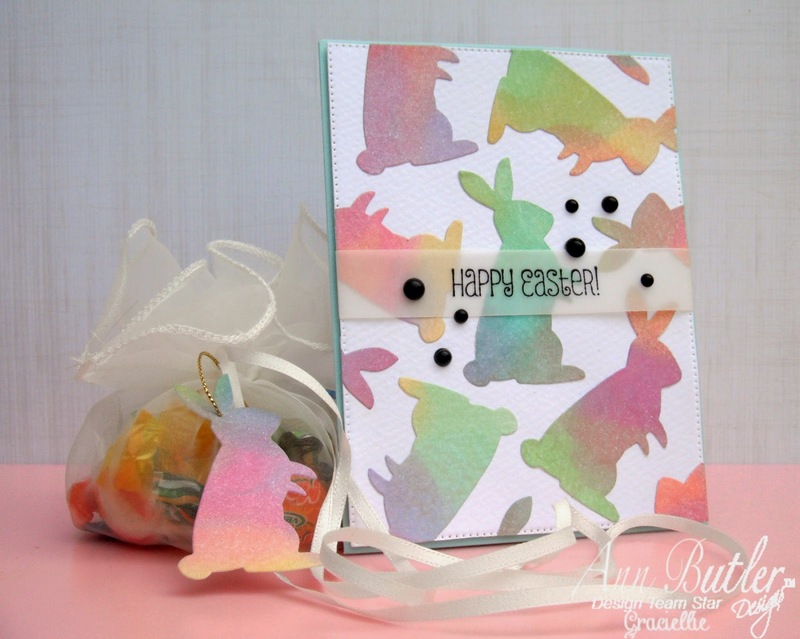 Such a fun, bright easter design! So nice the colors and the numbers of bunnies! Playful! Thank you for the step by step too!